Most of this song is played in an open G-tuning. 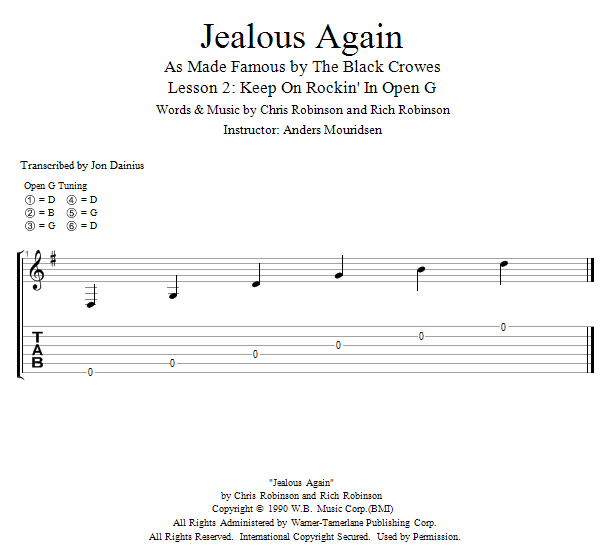 This is a classic Rock'n Roll trick that enables you to play things that would be hard to play in standard tuning. In this lesson I'm gonna help you get into the open G-tuning and break it down for you.